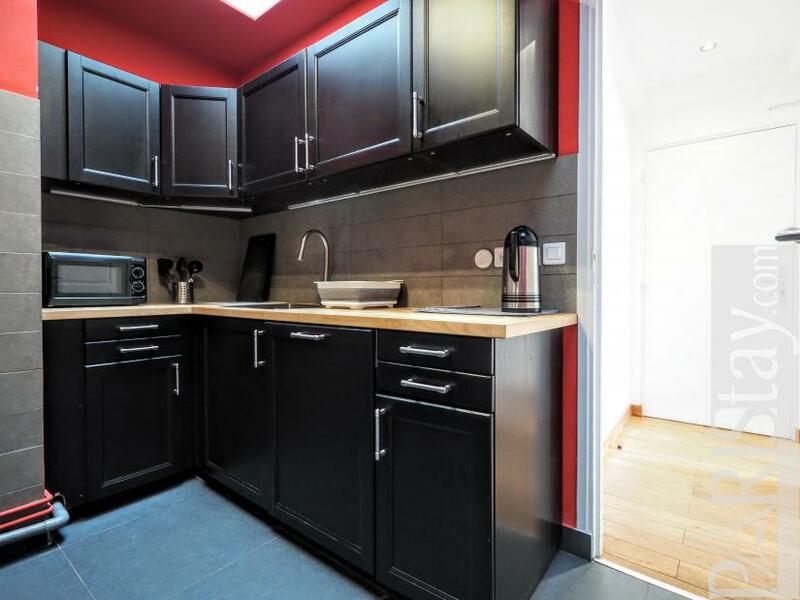 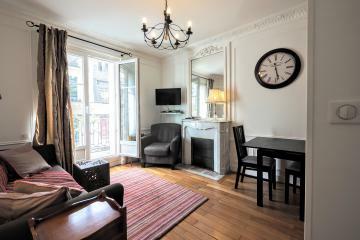 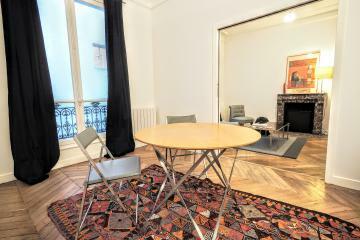 Perfect corporate apartment rental located in the heart of Paris, close to the wonderful Montorgueil district and La Bourse. 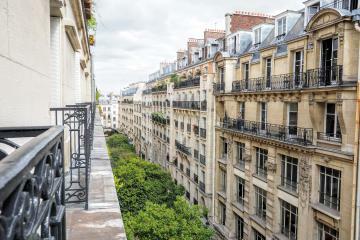 Here is a lively and lovely area where to live as a parisian with everything around and easy transportation links to go anywhere in town. 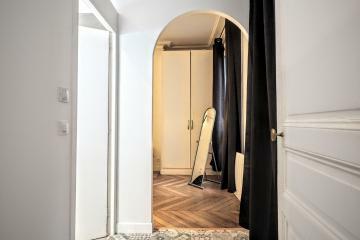 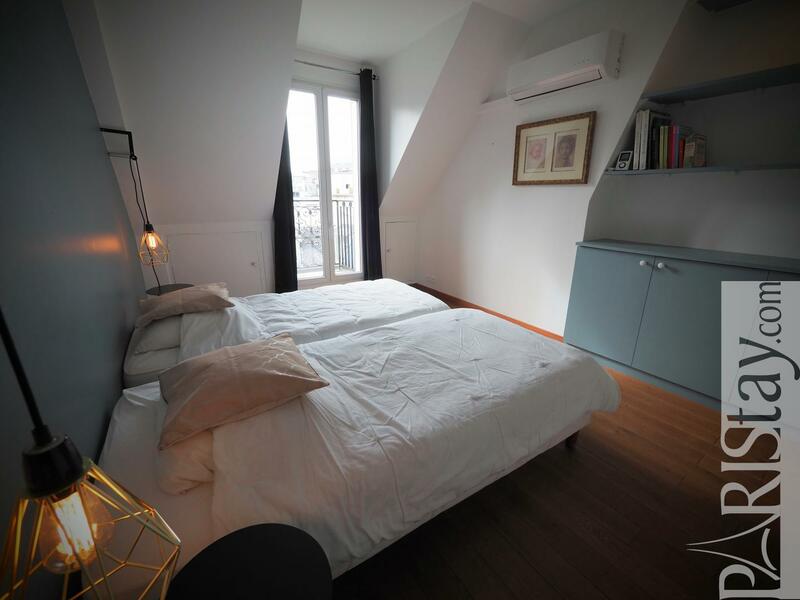 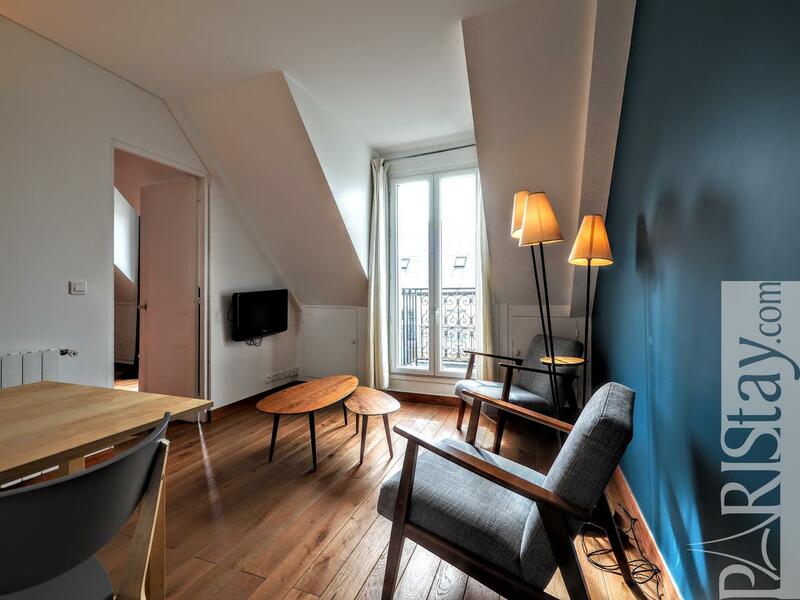 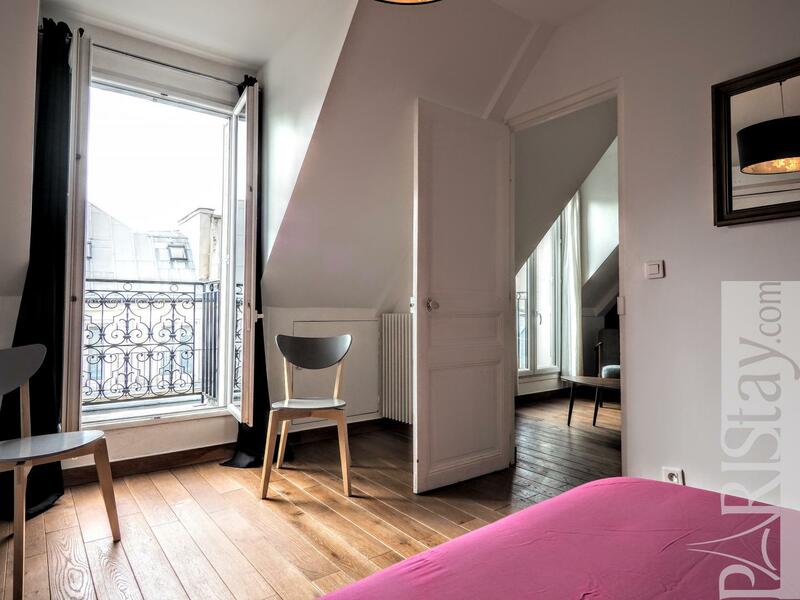 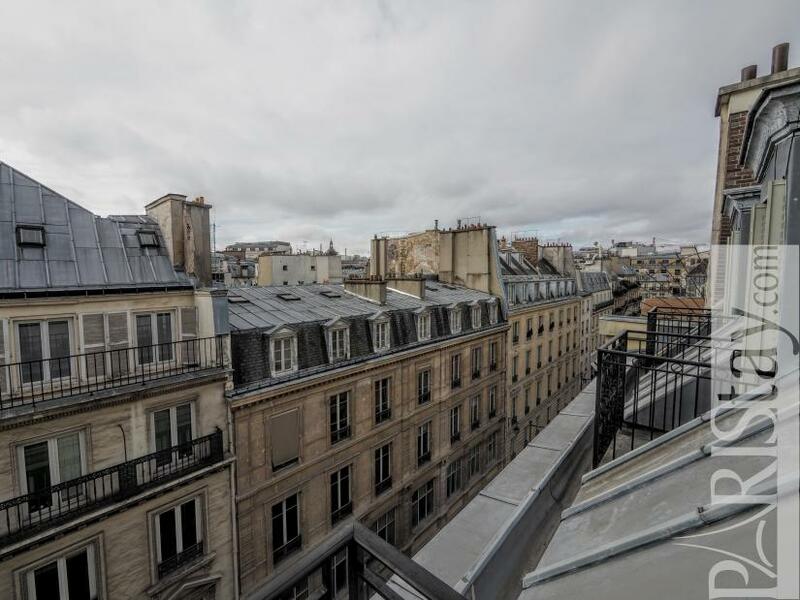 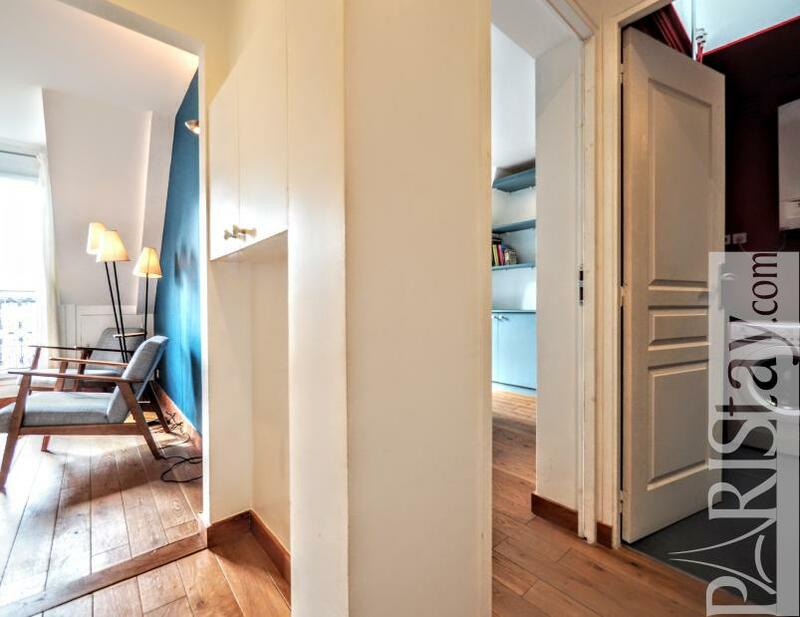 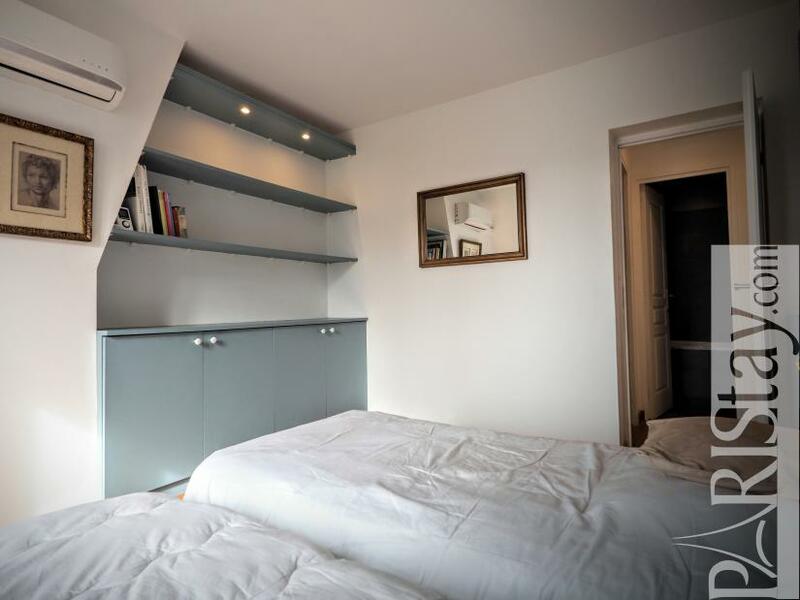 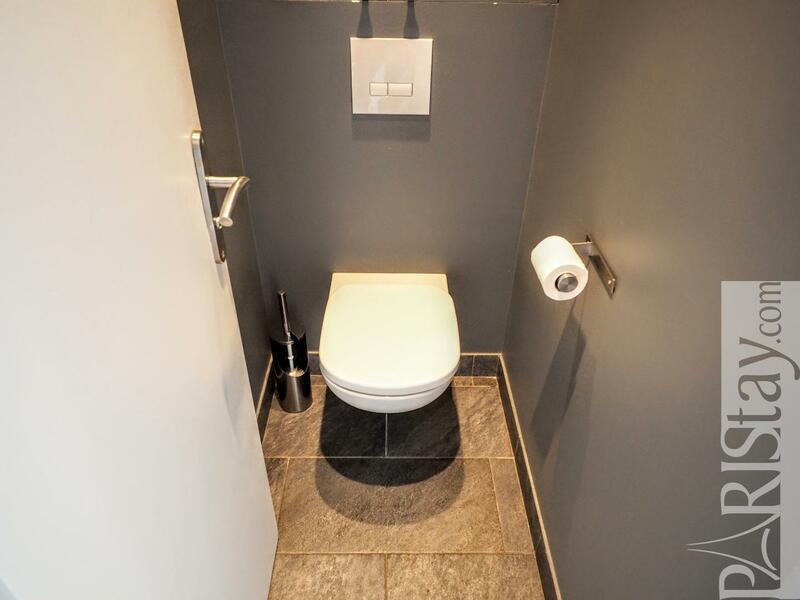 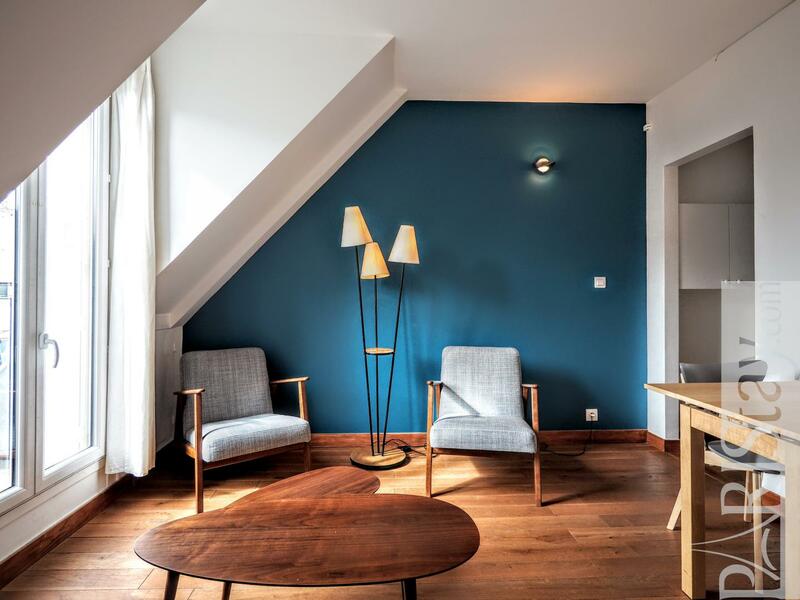 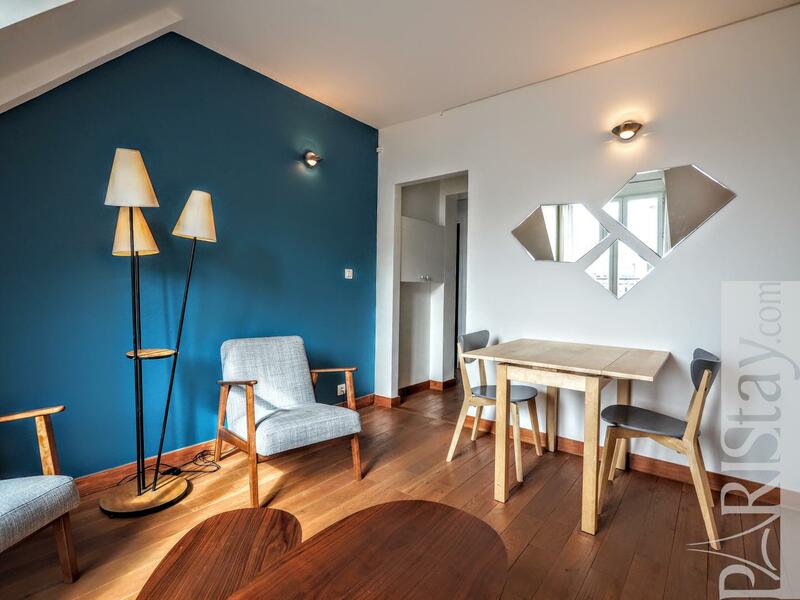 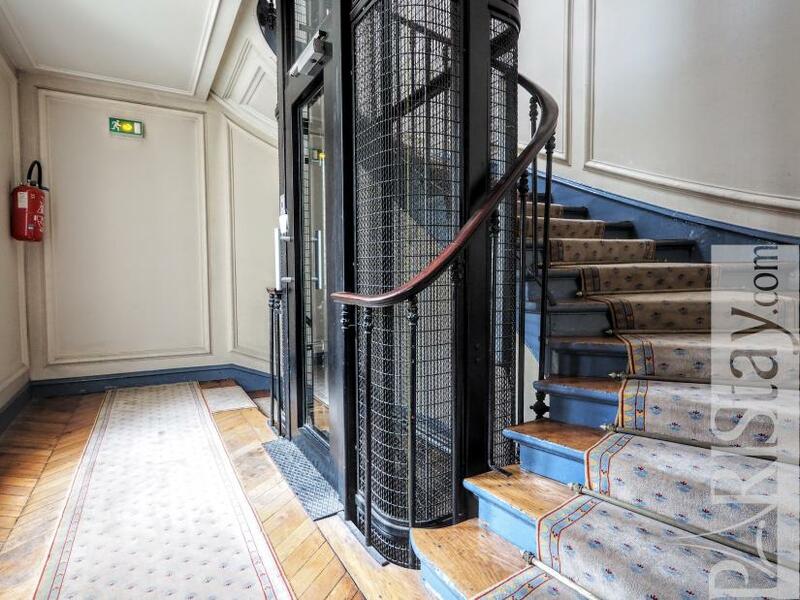 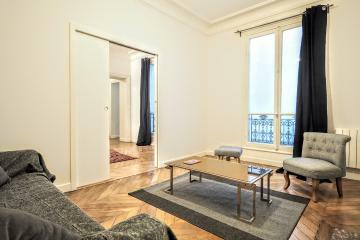 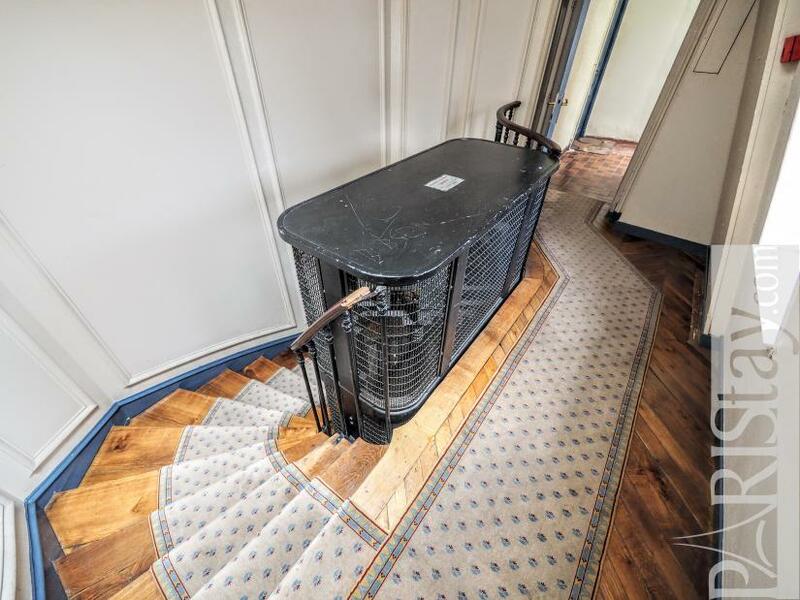 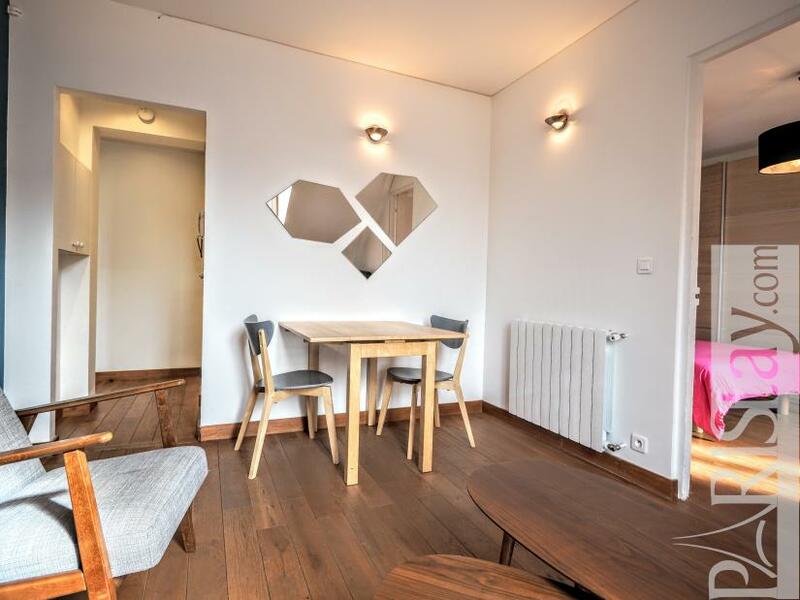 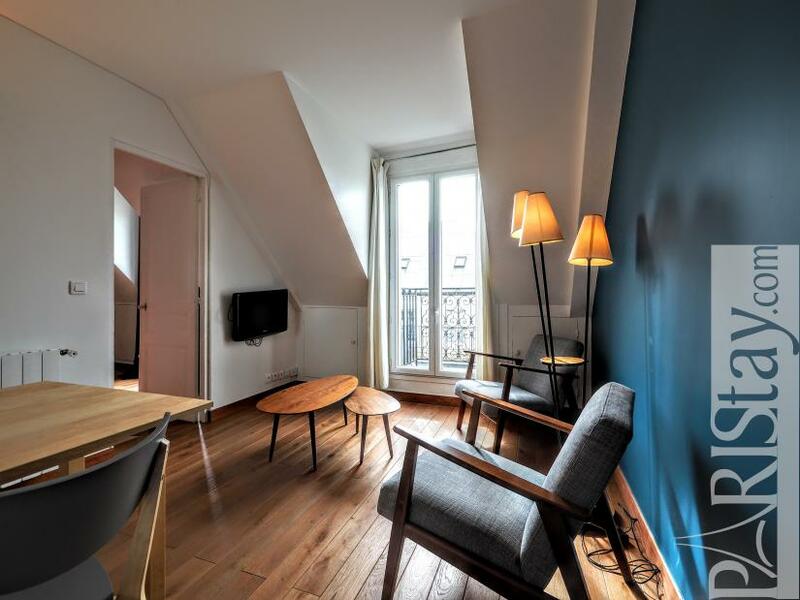 This 2 bedroom apartment for rent in Paris is situated in the quiet Rue des Jeûneurs, on the 5th and last floor of a residential building. PLease note the elevator stops at the 4th floor. 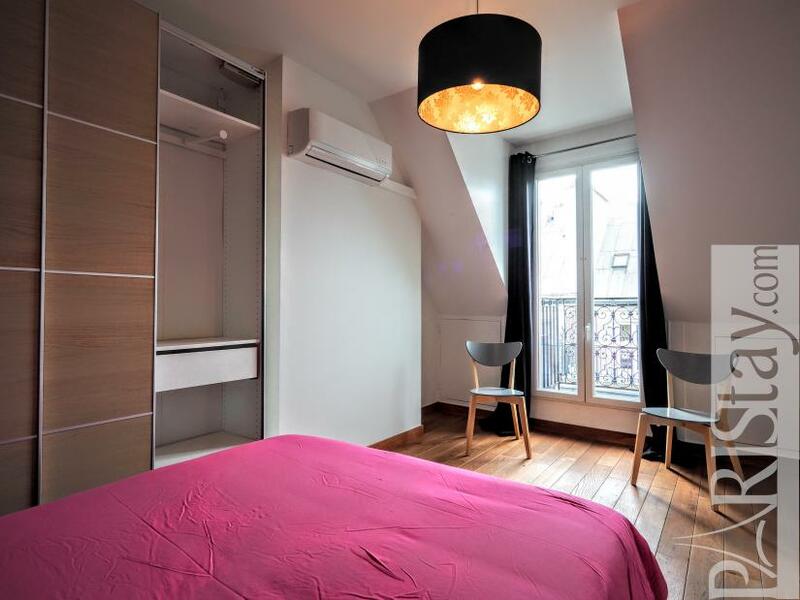 The flat offers 3 south-oriented balconnies with a great view on Paris skyline. 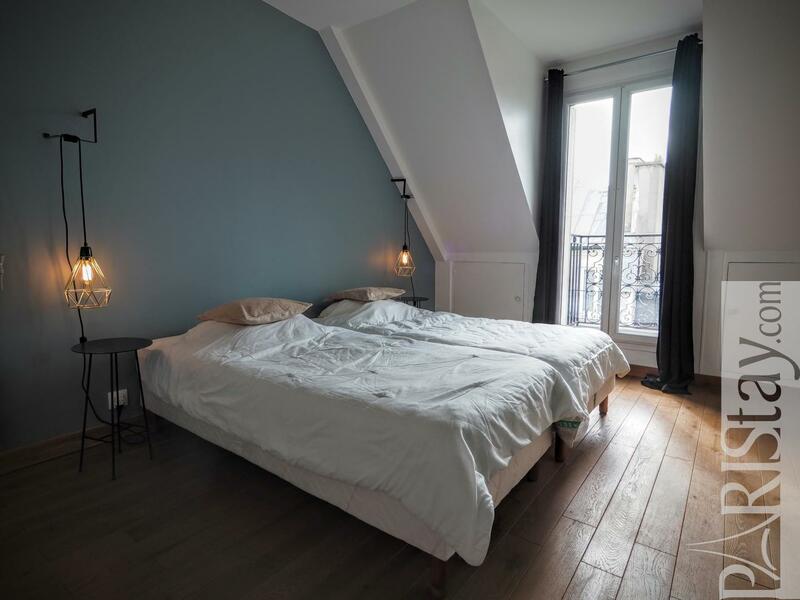 Ready to have a coffee there? You enter a convenient entrance that leads to the living room, the kitchen, the bathroom and a bedroom with 2 single beds. 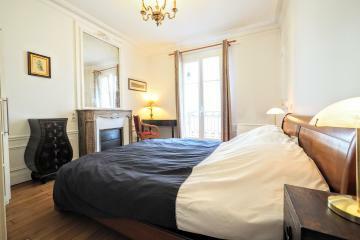 The second bedroom is on the other side and offers a king size bed and a dressing. 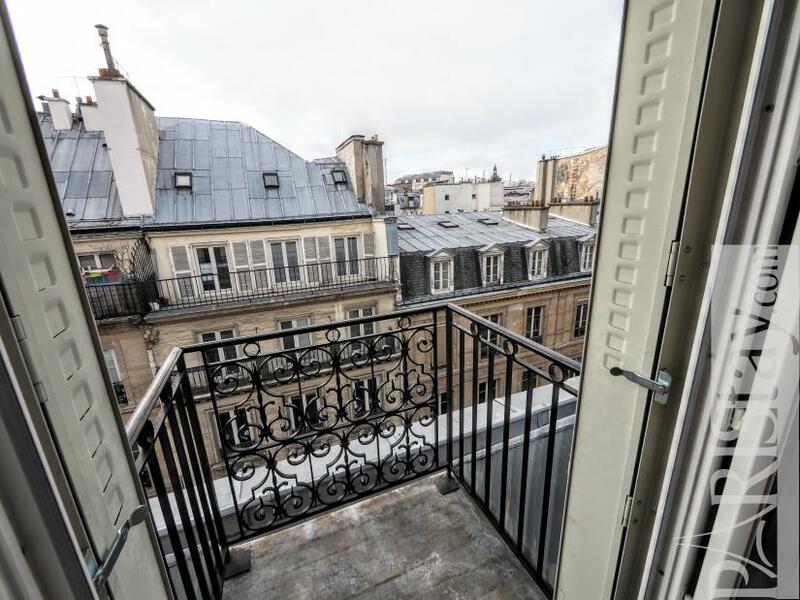 Each room has is own balcony with view. 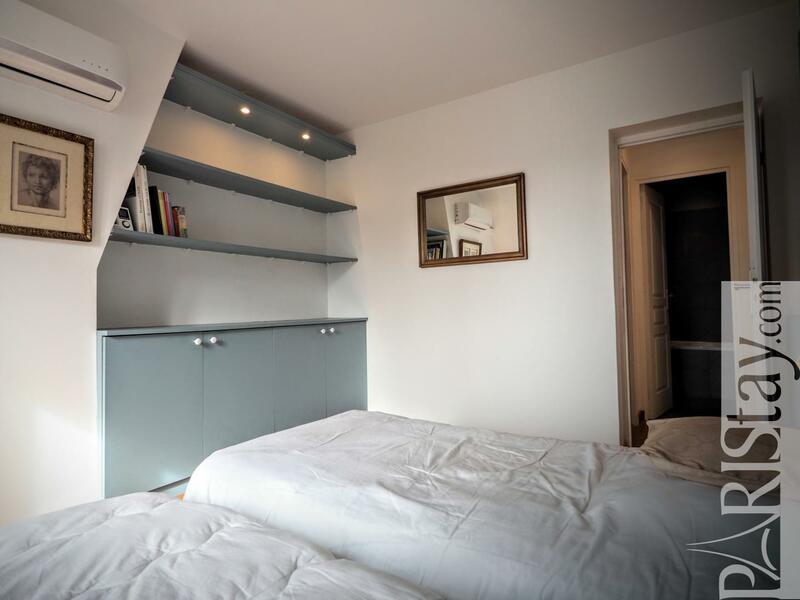 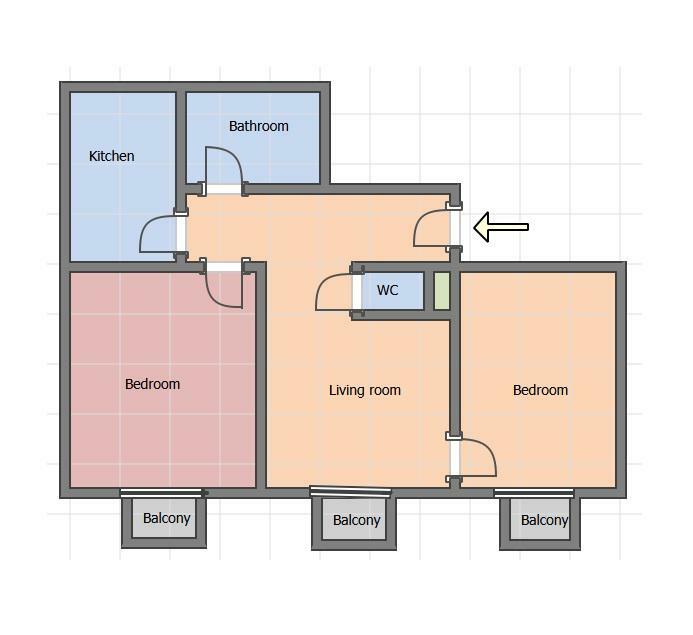 This flat has been designed by an architect with high quality equipement and furniture. 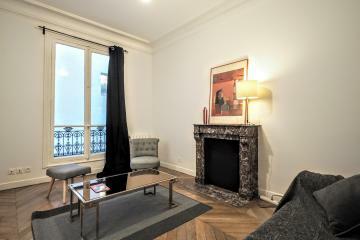 Please, find everything needed for a long stay rental in Paris. 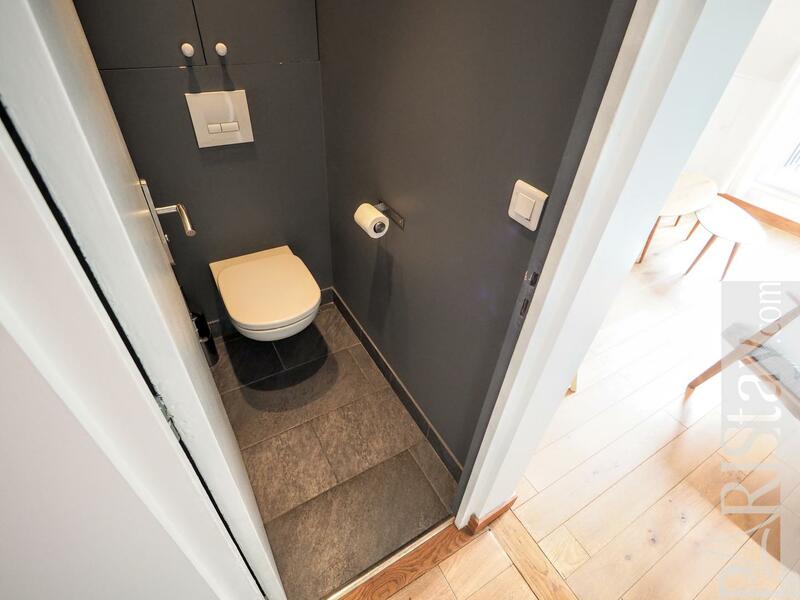 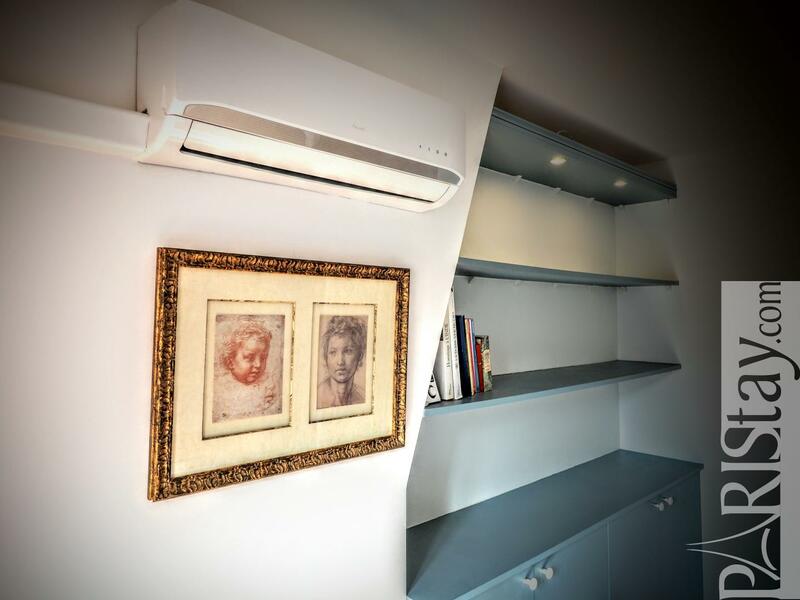 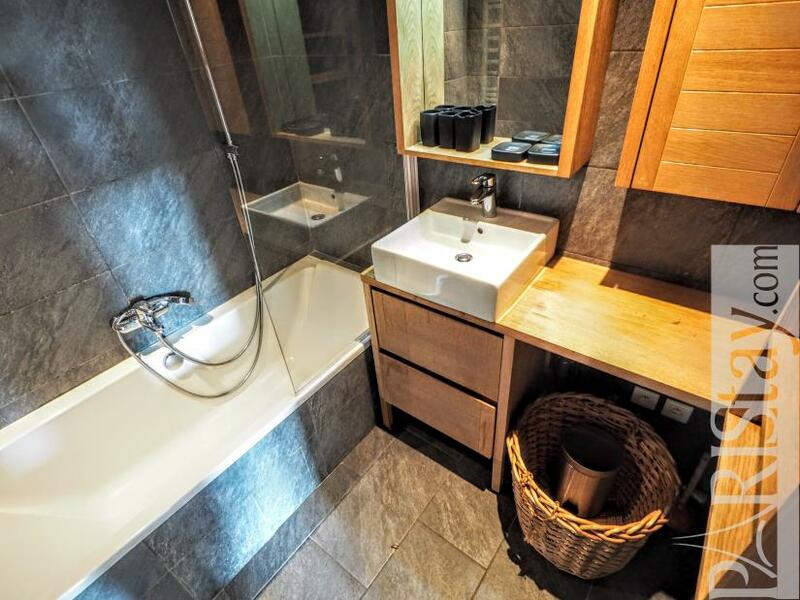 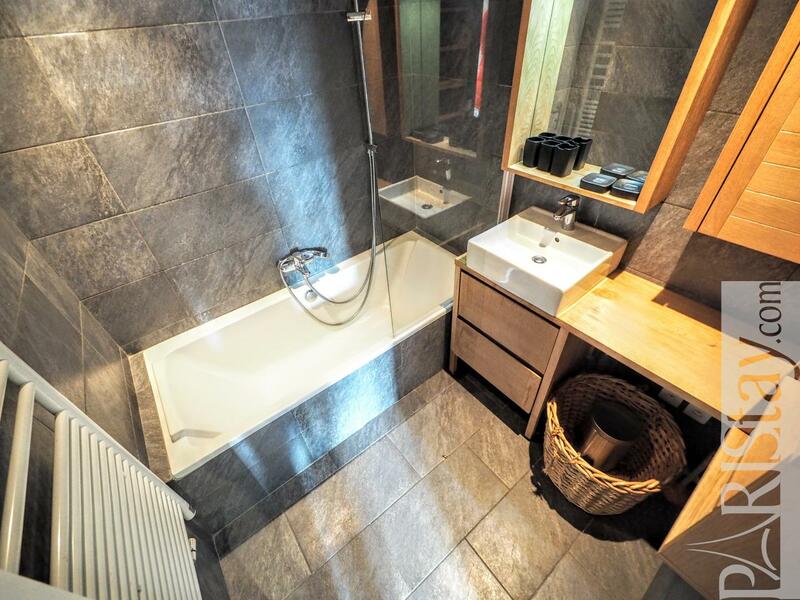 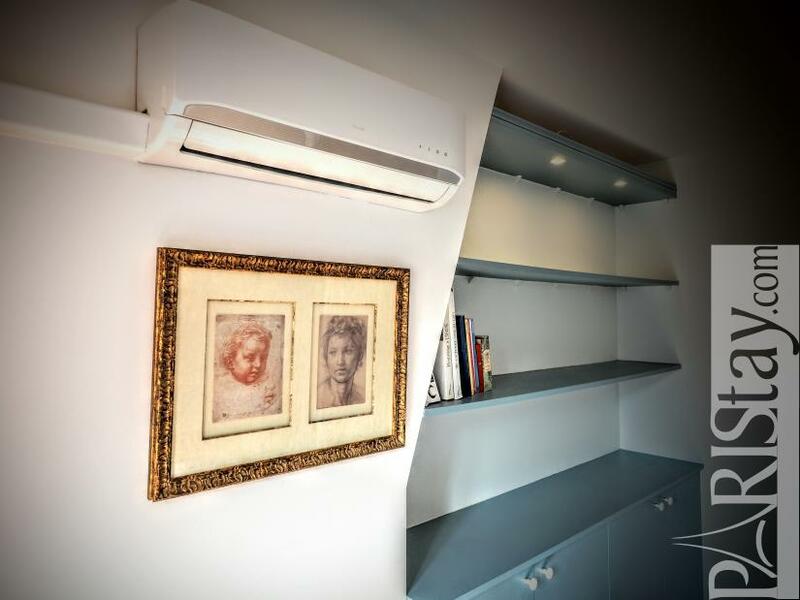 Air conditionner in the bedrooms, fully equipped kitchen (american fridge, oven, microwave, dishwasher, washing machine), bathroom with bathtub, separate toilet, iunlimiotted internet access (Fiber). 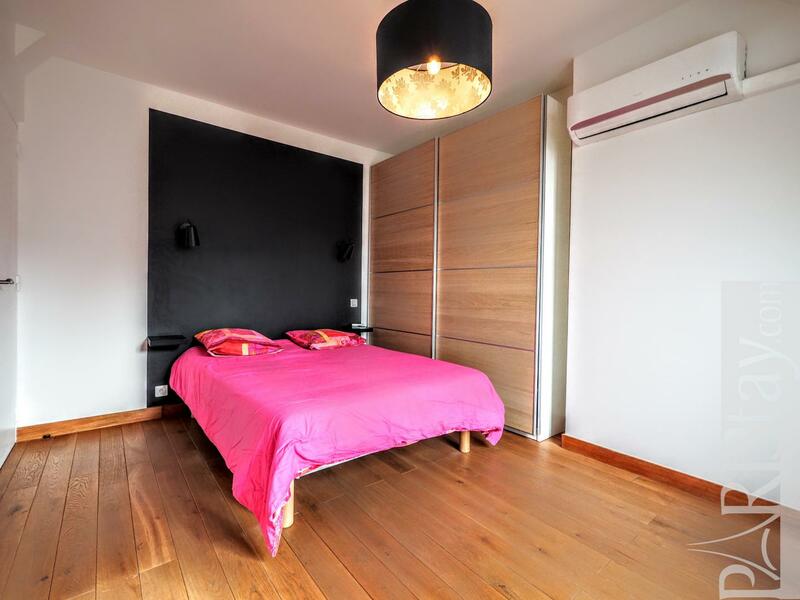 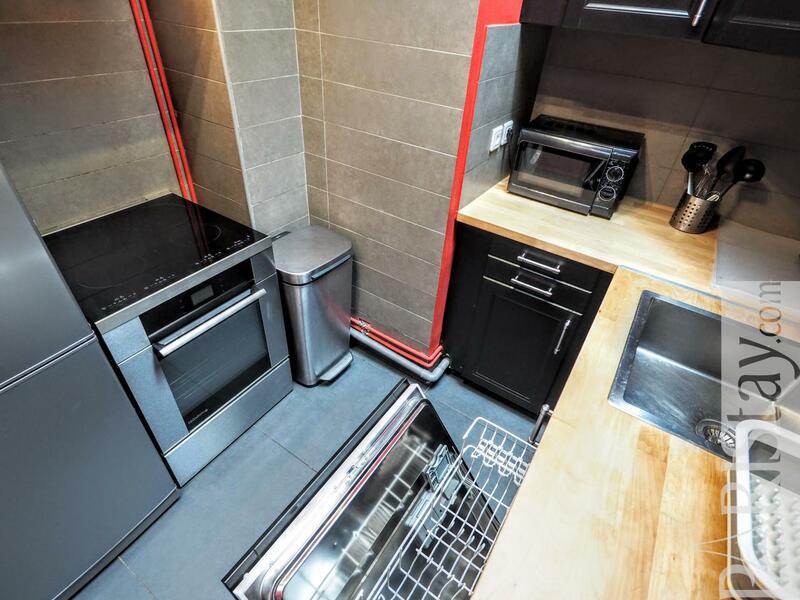 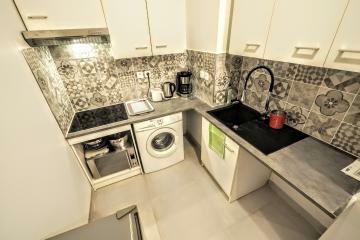 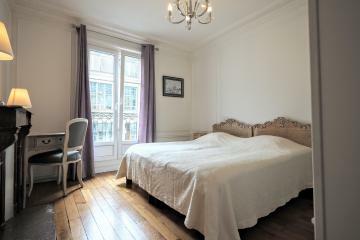 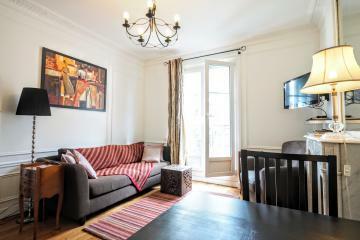 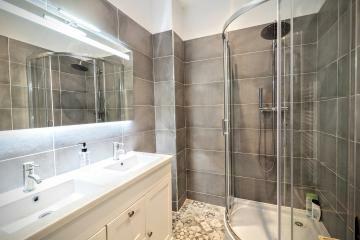 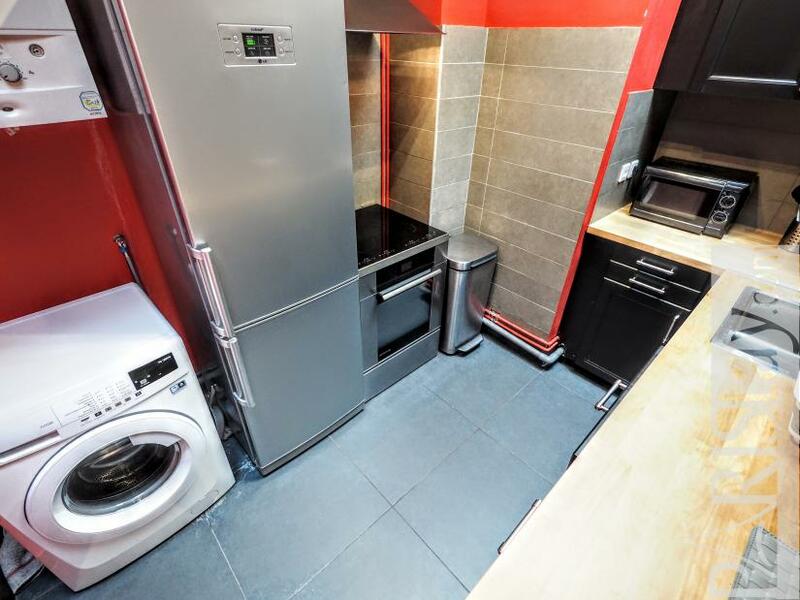 5 rd floor, with Lift, 2 bedrooms Appartement, furnished, Approx: 52m² / 559 Sq.Ft.